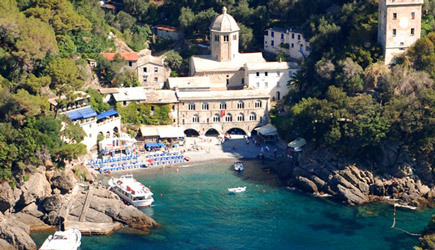 Liguria is a splendid location for mini cruises sailing. The proximity to the cities of northern Italy makes it a perfect destination for weekend or for day sail excursions on a sail boat. Weekend in the Riviera di Ponente and 4 days in the Riviera di Levante. Day trips, dinners and all daily activities take place in Liguria departing from Finale Ligure. 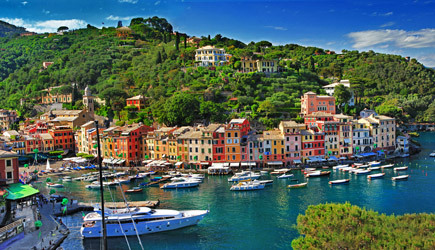 This itinerary includes beautiful sailing and a few evocative bays, off the shore of Liguria. The first day we will sail toward Gallinara Island and Capo Mele, two good anchorages where you can spend moments of relaxation, dining and swimming, surrounded by the typical Ligurian landscapes. Overnight expected at the port of Finale Ligure. The second day we will sail to the quiet bay of Noli where we will anchor for lunch. 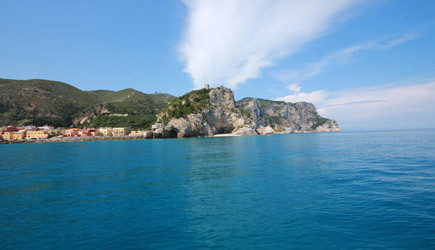 In the afternoon we will sail to the bay of Varigotti for another nice swim. In this part of coast is easy to find a good breeze for sailing, navigation is simple and is held along the coast, perfect for those who have no experience of sailing trips. It 'is also ideal for families with children, there is always a port nearby if the weather gets worse. 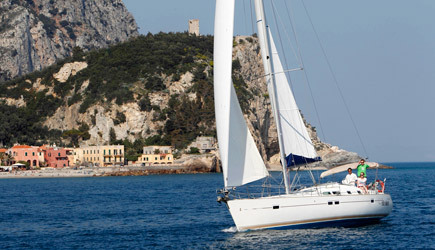 This itinerary includes a fun sail to the picturesque areas of the "Cinque Terre". The first day we will sail toward S. Fruttuoso and Portofino. Overnight expected at the port of Santa Margherita Ligure or at anchor. The second day we cruise to Portovenere sailing in front of "Cinque Terre". Planned overnight in port or at anchor in Portovenere. On the third day we will sail again in front of the "Cinque Terre" and then reach Sestri Levante and Lavagna. Planned overnight in the port of Lavagna. On the fourth day anchorage in Camogli or S.Fruttuoso and then sail to return to Varazze at 17:30.